Graphite is still the most widely used anode material since its first application to commercial Lithium ion batteries by SONY in 1991. 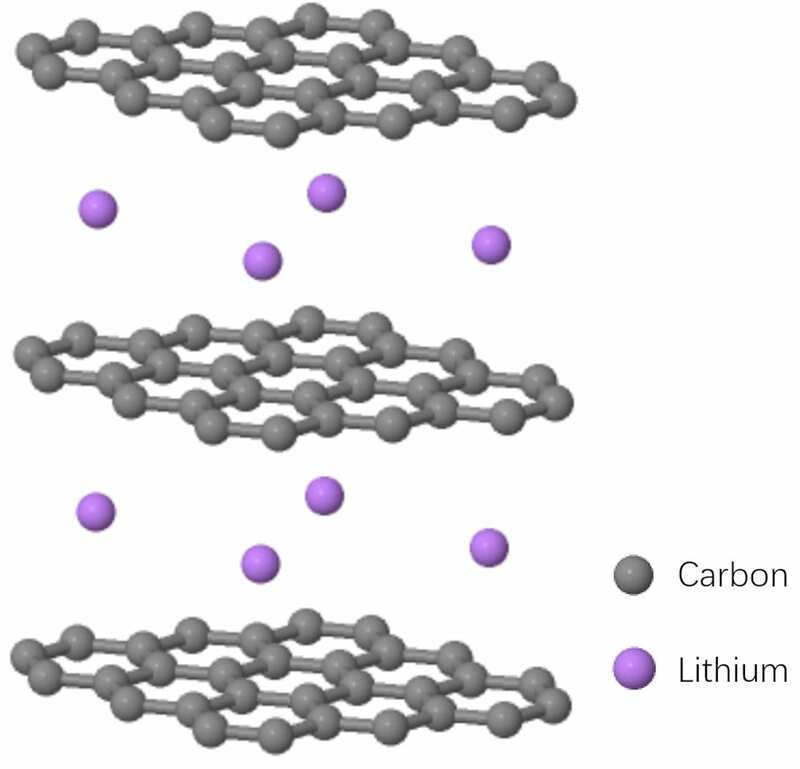 Note that hiding the lithium does not give you the true image of delithiated graphite, as after lithium insertion, the distance between each lithiated graphene layer will be longer and in total the material undergoes about 10% volume expansion. K. Persson, V. A. Sethuraman, L. J. Hardwick, Y. Hinuma, Y. S. Meng, A. van der Ven, V. Srinivasan, R. Kostecki and G. Ceder, J. Phys. Chem., 2010, 1, 1176-1180.